Air Canada has generously allowed me to change the return date of my $1700 ticket for an additional $210 and I am returning to Toronto -in the comfort of the economy class cabin- on Monday. (As constant readers know, serious illness here in California kept me five months instead of two weeks.) The ticket was bought two hours before I flew down, ergo the high price. Yes, I paid for insurance, which refused to pay out because I knew there was an emergency when I left, and extra for luggage. I intend to thwart the airline of an additional $75 for a second bag by mailing my summer clothes. Having dealt with that business, I have moved on to emotional impact. First of all, I have to leave paradise, what I called Shangri-La in May posts, when I first visited and which I later called the Centre of the World, as the Chumash tribe does. I have talked about the 3 year long drought, bears prowling the village, wildfire on the mountain and early snow. There is potential for large animals on the winding mountain roads as well as ice. There are signs that say,, “Expect to use chains at any time”, amusing enough when the temperature is 100 degrees F. but in dead earnest. I haven’t mentioned that our ultra-friendly village sits in a valley shaped by the San Andreas Fault. But I have also talked about the clear mostly silent skies , blue by day and unbelievably star-filled by night. There are no street lights and there is an ordinance against light pollution. Trees, mostly pine, climb the 8500 ft. peak of Mt. Pinos as well as the lesser slopes of the San Emigdio Mountain range and their breathing purifies the air. Here at 5500 ft. the aspens and poplars are florescent yellow now. The house in the pines is under a steep slope above a pond. House and pond are darkening by 4:45. When snow fell on Hallowe’en, flocks of birds came down from the mountains. One morning there were many Brown Thrasers and others looking for food on the ground. The Stellers Jays, which amused me in May, flit back and forth between the trees, entertaining Clara and me when we drink our morning tea on the deck of my other, hillside home. Woodpeckers search for grubs, head down on a pine tree. One jay likes to land on the deck rail and stare at the open door as if waiting for breakfast. But feeding a bird is inviting a bear. A hawk sat in a tall tree at the house in the pines this morning. Yesterday, the family golfer saw an immature condor. His first clue that it was an enormous bird was the slowness of its wings. There is a horse trail that runs 3 miles down to an immense pine, over 20 ft around and 600 to 1000 years old. There are many other hiking trails. The Chumash Wilderness is accessible only by an ancient trail, which the firefighters had to use to get to the fire and crush out the spots the helicoptered water didn’t hit. Our patient can do the 6 1/2 mile hike to the big tree. I cannot. There are other amazing things about this place, for example, I can leave here in my fur-hooded jacket in near freezing temperatures and drive to Bakersfield where it is 90 degrees -altitude and an hour’s driving – north. Not a bad place to find yourself marooned! Then I will be leaving behind the close companionship that developed in the family as we struggled with a potentially fatal illness. At first we were united by grief and fear and general angst and now by joy that we have found a way to manage the disease. Our patient no longer needs constant care, even though she is still recovering. Then there is the actual arrival home to deal with, walking in the door of my home. I confess I am afraid of that. I am told that since no one has lived there for 5 months, the dust will be only a light film not the greasier stuff that cooking and shedding skin cells produces. I did ask my sister to make my bed. I leapt out of it on June 4th when I got the phone call and started booking my ticket and throwing stuff into a suitcase. It’s as if I feel that the place is going to reprimand me for neglecting it. I visualize it, the pictures on the walls, most of them painted by friends, except for the large photograph of the Seine by night, the Fiestaware cups on the sideboard, the bright rugs, the big rocking chair, so I will be familiar with it. I have made about 55 trips to Southern California, two of them for several month’s stay and I always find the adjustment back to a long distance relationship with my family here difficult for a few days, not to mention adapting to Toronto, a colder place in every sense of the word. This time, however, I will be taking back a different self, one more confident in support that transcends earthly connections, comforting as they have proved to be. I have the beauty and peace of this place securely memorized. I will have the memory of sitting alone, tearing a baguette for croutons, and suddenly feeling that I really was at the centre of life, at the centre of what Greek legend calls Eros. This entry was posted in family, spiritual growth, travel and tagged Chumash CEntre of the World, Mt. 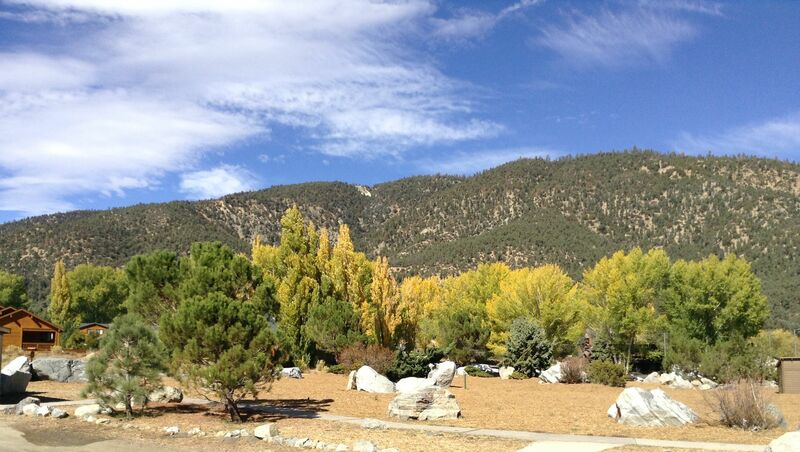 Pinos, Pine Mountain Club, serious illness, Shangri-la, So California by joyceahowe/hood. Bookmark the permalink. Well, it’s beautifully written Joyce, but I can’t say as I “like” it because you’re leaving the larger area. Fwiw – interesting I suppose – I just returned in late August from a 4-month stay in northeastern North Dakota – near Grand Forks. I personally think you’re doing this backwards going up there for the winter but … who am I to say. ??? (lol) Safe travels and hope all is well at your house. Mine here was very dusty but it cleaned up. I’m fairly certain you won’t have to deal with that dust! And those of us up here will be so very glad of your return! !